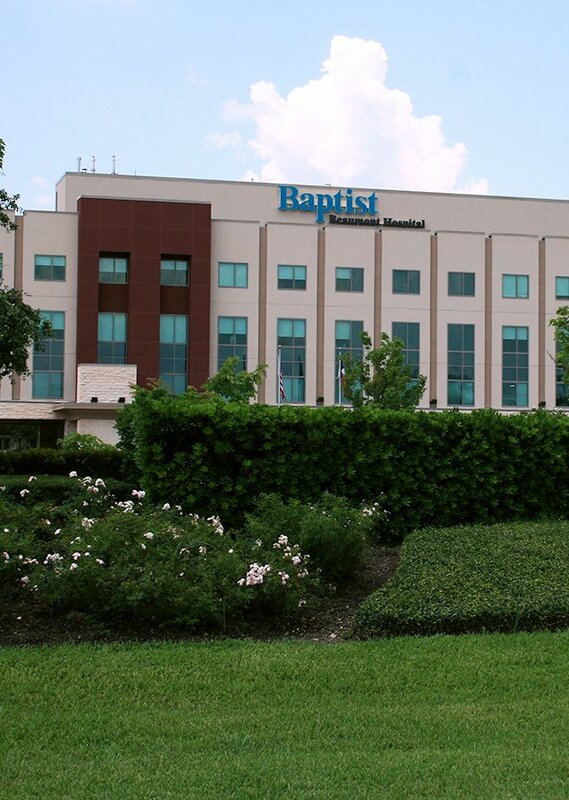 CHC helps many hospitals achieve dramatic changes for the better, but some of our hospitals, including Baptist Hospitals of Southeast Texas (BHSET), are advancing in the right direction already and just need some additional expertise and support. At the start of BHSET’s long-term relationship with CHC, the hospital didn’t require a turnaround but a turbocharge to gain and eventually dominate market share. BHSET, headquartered in Beaumont, Texas, is a 508-bed, multi-campus healthcare provider with $1.26 billion in patient revenue. CHC’s relationship with BHSET began in 2000, when CHC acquired the hospital and became its corporate member. This is when the hospital’s progress started to accelerate. Aging facilities and no physical room for growth were the most pressing problems BHSET faced at the start of the relationship. Unfortunately, BHSET lacked the means to update or relocate because a bond issue fell through, and subsequent efforts to secure funding also went nowhere. Where BHSET’s previous investment bankers had failed, a CHC-led team succeeded at securing HUD financing with favorable terms, allowing the hospital to relocate and expand. This was a giant leap forward in strategic visioning because the new, modern facilities sent such a strong message about BHSET’s longevity and commitment to the community. As an example, the hospital reinforced its community commitment with an ER expansion that modernized the department and more than doubled its size, growing from 9 to 26 beds. In addition, greater capacity in a growing area positioned BHSET to overtake the market share leader. Hospital leadership recently requested extra scrutiny to ferret out savings opportunities, so CHC deployed subject matter experts to review revenue cycle, charge master, nursing services, finance, productivity, perioperative services, behavioral health, human resources, information technology and clinics. The CHC Supply Trust team also completed a comprehensive assessment to identify additional supply chain savings opportunities. The fresh eyes and expertise of CHC’s experts identified opportunities for savings and revenue enhancements totaling more than $1 million annually. In addition, BHSET receives significant savings through CHC Supply Trust, the supply chain services arm of CHC. This group purchasing initiative has saved BHSET more than $5 million annually in supply and services expenses. BHSET continues to grow and gain regional strength. Recently, BHSET partnered with Cancer Center of Southeast Texas and Altus Cancer Center to expand and enhance regional cancer care. The communities served will see significantly improved access to advanced cancer care, sparing patients the long drive to Houston to receive treatment. These outcomes demonstrate the expertise CHC offers for larger community hospitals like BHSET.